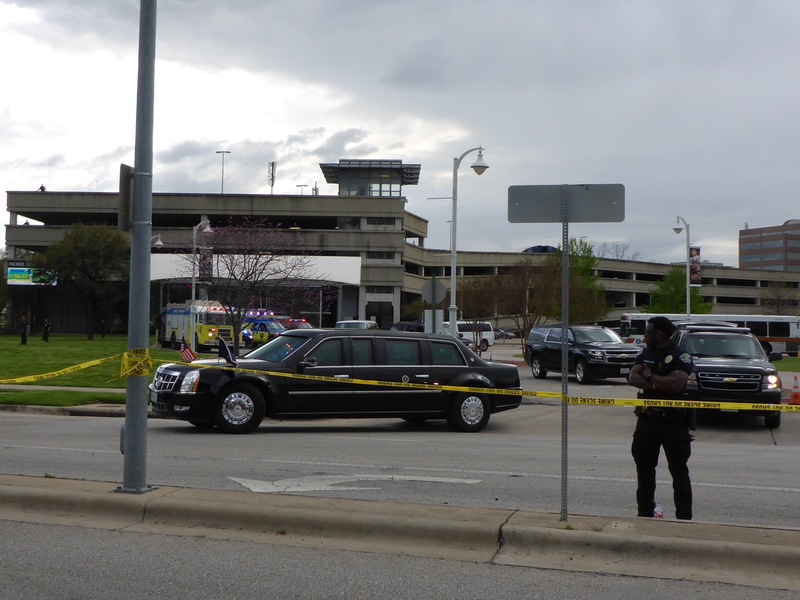 Getting near the Presidential Motorcade is probably the closest I will ever get to President Obama. The Presidential Limo was looking pretty good today. It was reported that he stopped for some Torchy’s Tacos in South Austin on his way to the SXSW event at the Long Center. 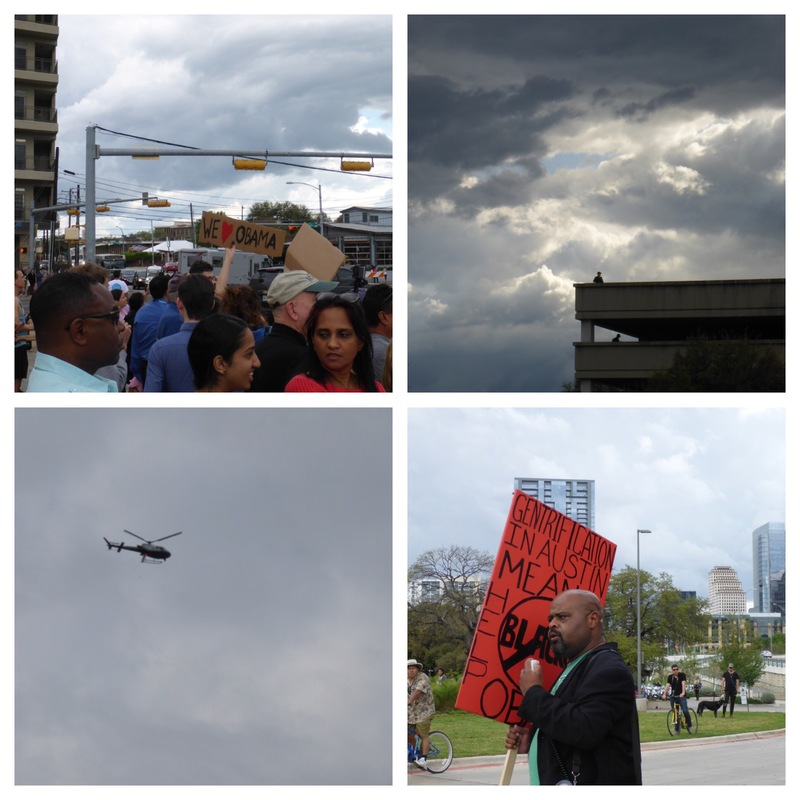 The crowds were out in force this afternoon, along with a few protesters and tons of security. There were police motorcycles, vehicles, horses, foot patrol, boats, and helicopters. President Obama then took off across an empty 1st Street Bridge on his way to the next event of the day. 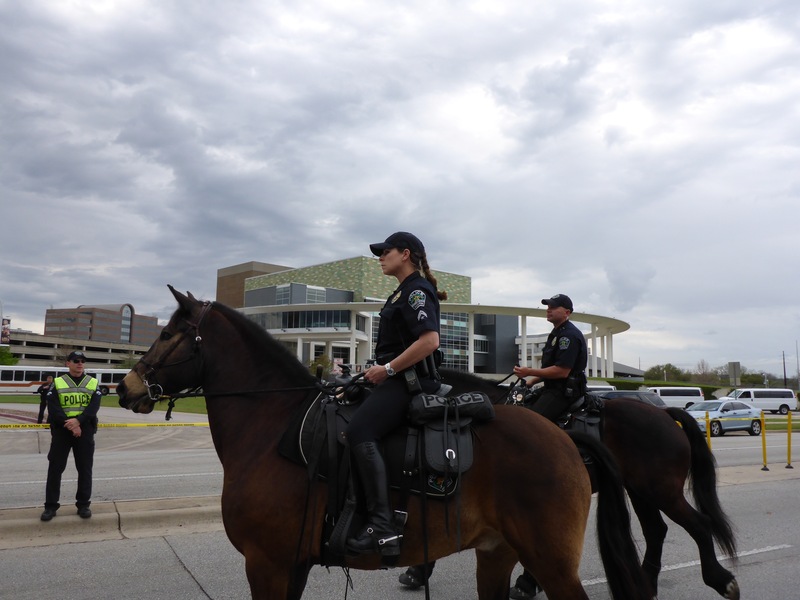 This entry was posted in Photography and tagged Austin, Collage, Helicopter, Horses, Long Center, Obama, Photography, Police, President, President Obama, Presidential Limo, Security, SXSW, Texas, Torchy's Tacos.